We don’t have to tell you that Netflix is the most popular media streaming service in the world. This was one of the first services to the user into the era of original content by offering exclusive streaming titles. And by taking a look at its growing revenue, we can see that this strategy has paid off. However, as a Netflix customer, you know that the only way to take full advantage of this service is by using a Netflix VPN. Due to broadcast and licensing rights, Netflix can’t offer the same media library across the entire world. In fact, some regions are heavily restricted and come with modest libraries that don’t justify the price of the subscription. And on top of that, Netflix fights copyright infringement, making it impossible to watch the original programming via other streaming channels. This means that the only solution is to use the very best VPN for Netflix – the one that can let you watch the ‘original’ version of Netflix, available in the USA. Most importantly, you must know that only a few selected VPNs can effectively unblock Netflix in 2019 and let you stream movies and TV shows. Thanks to strong anti-VPN measures, VPN services have a really hard time achieving this task. However, we’ve done our homework and we know which VPNs are truly the best VPNs for Netflix right now. The following suggestions are able of unblocking Netflix across a series of platforms and devices. They also bring the highest level of encryption, and they bring reliable speeds as well. We’ve tested all of these for ourselves, so we recommend checking individual VPN reviews for more information. Finally, here are 6 best Netflix VPNs that can 100% unblock restricted service in April 2019. One of the leading VPN providers is ExpressVPN and it gets stellar reviews from customers across the world. This is a well-known and reputable VPN provider that proved numerous times before that it cares about its customers and users. When it comes to using this VPN with Netflix, it ticks all the right boxes. Every subscription comes with unlimited speeds, plenty of servers that you can jump between, and the ability to connect to multiple devices at the same time. It promises to create a great, uninterrupted viewing experience, which means you can get the most out of Netflix. Getting good marks for reliability, security, and logging too, ExpressVPN is useful for other online activities as well. Want another bonus to draw you in? ExpressVPN offers a 30-day money back guarantee, and if you refer a friend, you can receive 30 days completely free. There’s plenty more to know about this VPN provider. So, we strongly recommend reading our ExpressVPN review. Our list of the Netflix VPN wouldn’t be complete without CyberGhost. This is a very interesting provider that brings several useful novelties. Needless to say, it works perfectly with Netflix and numerous other streaming services. Bringing more than 3,000 servers across 60+ countries, you’re covered well. You can pick a server manually, based on your desired IP address. However, you can also let CyberGhost pick a server based on a planned activity. For example, you can choose to stream and this VPN will find the best server in the US that lets you access Netflix. We’re talking about highly optimized servers, so don’t expect any throttling or buffering. No matter if you’re a beginner or experienced user, CyberGhost will cater to your needs. If you get stuck at some point, you can check the application’s extensive documentation and you can also rely on live-chat. To get to know details about encryption and security, make sure to read our CyberGhost review. NordVPN prides itself on being a simple VPN to use, making it a great solution for beginners. Aside from that, this VPN is offering lightning-fast speeds, perfect for when you want to stream in high definition. It stands a cut above the rest when it comes to the number of devices that you can connect at any given time. Every account allows you to connect up to six devices, which should be more than enough to meet your Netflix needs even when you’re watching as you’re on-the-go. Then, you will also get to use double VPN where your data goes through two secure servers, leaving no trace behind. While NordVPN does offer a very intuitive piece of software, it does fall down when it comes to customer support. While other providers offer around-the-clock support, the only commitment NordVPN makes is that you’ll have a response within 48 hours. This could be frustrating if it prevents you from catching the latest shows when you plan on watching them. In case you’re intrigued by this VPN and want to find out more, check our NordVPN review. The final option on our list of the best Netflix VPN in 2019 is Surfshark. Don’t worry if you haven’t heard about this VPN yet, as it’s a relatively new provider. However, we are more than happy that we’ve discovered it, and we think you’ll be more than happy too. Surfshark has developed native apps for a really broad array of platforms and devices. It brings a unified UI design across all those, which we have to say is highly polished. It’s great for complete beginners looking for a streamlined solution. However, it comes with some advanced features as well which should cater to the needs of seasoned VPN users. Most importantly, Surfshark can unblock a series of region-based Netflix versions, including American Netflix. All you need to do is to connect to a server in the USA and Surhshark will do the rest of the job. You can sign into your Netflix account, and you’ll see titles only available in the USA. Streaming is also done without any problems or buffering. We’ve only scratched the surface of this VPN service, and we’re sure you can’t wait to hear more. So, we present to you our review of Surfshark VPN. If you want something affordable and easy to use, PrivateVPN should be an interesting pick. This Sweden-based VPN provider has proven to be user-friendly in terms of its UI design and data collection. It also guarantees not to collect any of your personal data. You’ll see that PrivateVPN doesn’t have the largest network of servers out there. However, you’ll also see that you don’t need thousands of servers to unblock and stream US Netflix. With over 80 servers in 50+ countries, PrivateVPN covers all the strategic places. The company understands that the USA is its users’ favorite location, so you’ll find plenty of servers there. You’ll also find specialized servers for streaming – which makes unblocking Netflix an easy task. Make no mistake – this is a hugely powerful VPN provider. It brings top-of-the-line security features and performs admirably. You can find additional information by reading our PrivateVPN review. You’ll see VyprVPN being advertised as the world’s most powerful VPN. This doesn’t seem like an overstatement since this VPN is powered by the company’s own proprietary cloaking technology. Websites like Netflix or any other streaming service are no challenge for this VPN. There are several important things to know about VyprVPN. First of all, this company owns its entire server network (it doesn’t rent it). This means that this VPN can guarantee incredibly fast speeds, with barely noticeable throttling. This is of big value for services like Netflix, allowing you to stream HD and 4K content. Then, there’s an incredibly tough encryption protocol that will make you truly invisible on the Web. When it comes to keeping yourself protected on the Internet and streaming video files, VyprVPN seems like an amazing deal. However, it doesn’t support P2P traffic (or torrenting). This might be a deal-breaker if you plan on downloading files via P2P. To learn other upsides and downsides, take a look at our VyprVPN review. We are here to help you pick the very best VPN for Netflix, based on your needs. Aside from knowing your options, it’s always good to dive deeper into this topic. So, let’s keep on going. Why Netflix Has Regional Restrictions? In 2016, Netflix opened its doors to the entire world. Today, it’s available in more than 190 countries which means that anyone can easily sign-up and stream movies and TV shows. However, there’s one big catch – you’ll only get to see a local version of Netflix, based on the country you live in. As you can imagine, Netflix has two sides to deal with. On one hand, it allows you to stream video content by using its official apps or via the official website. On the other hand, it works with production companies and Hollywood studios on bringing new titles to the platform. Well, this is where certain restrictions come into play. Simply said, for the most part, it would be overly expensive for this company to buy distribution rights for a certain movie that cover the entire world. And also, distribution rights might be already sold to other content providers in certain countries. This means that for each title it currently offers, Netflix went through a series of negotiations. In the end, it agreed to pay a certain amount of money to allow its users to stream the content in certain countries. Why Do You Need a VPN for Netflix? With so much content, why would you want to use a VPN with Netflix? Well, firstly, it can enhance your security, protection, and online anonymity, as it does with all types of online activities. But the biggest draw for using a VPN with the streaming service is the ability to geo-spoof. Netflix has a huge library of content but did you know that this varies from country to country? That’s right – your country’s Netflix library might be (and probably is) quite restricted. While most of Netflix’s original content is available globally at the same time, licensing restrictions apply to other types of content. For now, geo-spoofing provides the only answer to bypassing this roadblock. Still, not every VPN will do the job – so we recommend you to lookout ExpressVPN, which is considered as the very best VPN for Netflix. Do You Need a VPN to Access Netflix? No. You don’t have to use a VPN to watch Netflix, but it does give you access to a much greater range of TV shows and movies. To watch Netflix, all you need to do is sign up Netflix from here and set up your subscription before you can start browsing what to watch. If you want to access everything that Netflix has to offer, this is where you’ll need a VPN. How much content is restricted viewing for you will depend on where in the world you’re located. It’s worth seeing what other countries have access to and assessing if a VPN (i.e. Our top-ranked Netflix VPN is ExpressVPN, which gives you the access to American Netflix in no time) would be worth your time. There are many different benefits to using a VPN and which one appeals to you will depend on how you use the Internet. If you’re thinking about using a VPN or you don’t believe that you’re getting the most out of your current VPN, looking over the benefits could help you. Private browsing – Usually, your Internet service provider will be able to see your online activity and the information will be logged. Thanks to the encryption that’s deployed, a VPN eliminates this. Instead, you can browse safely in the knowledge that your activities are being kept private. But be warned, some VPN providers, typically the free ones, do keep a log of your browsing too. So, if privacy is an important priority for you, check the terms and conditions. You also read our article on the best VPNs with no-logs policies. Getting around censorship – Whether it’s country-wide censorship that’s led by the government or simply barriers put in place by work, it’s frustrating when you head to a webpage to be led to a censorship message instead. VPN offers you a way around these censorship pop-ups, allowing you to fully access and use the internet. Safety for downloads – Through hiding your activity, VPNs can make it safer to download P2P files. If you’re frequently making downloads, it’s an easy way to improve your safety. Geo-spoofing – Ever wanted to view content only to be told it’s not available in your area? This is exactly what geo-spoofing was designed to get around. It’ll open up more areas of the internet for you. Reducing cybercrime risks – As more activity moves to the digital, we’re putting more and more information about ourselves online. It might be more convenient, from online banking to grocery shopping, but it comes at a price. Cybercrime is rising globally and your online activity gives these criminals a chance to access your sensitive information, especially if you’re using a hotspot. The encryption that VPN provides van further protect your data and reduce the risks. Are There Any Drawbacks of Using a VPN for Netflix? Slow speeds – As a VPN encrypts all your data, giving you an extra layer of protection, this can slow down your Internet speed. Now, this might not matter for some activities but when you’ve just settled down with a Netflix, the last thing you want is a poor-quality image or, even worse, pauses as it buffers. But fear not, using a VPN doesn’t have to mean agonizingly slow Internet speeds. A good VPN provider, I mean ExpressVPN, doesn’t compromise on speed or safety so it won’t slow you down. Complicated – While using a VPN should be straightforward with easy to follow instructions, it’s unfortunately not true for all providers. All you need to do is choose a vendor that’s aimed at beginners and provides a comprehensive level of customer support. Compatibility – Not all VPNs have a broad range of devices they’re compatible with. You’ll no doubt want to watch Netflix on your TV, computer, and portable devices when it suits you. Make sure you thoroughly check compatibility levels with all your gadgets before signing up to a VPN provider, ensuring that you’re not limited and can get full use out of the service. Reliability – Unreliability is frustration in any technology and VPN is no different. An unreliable VPN can crash frequently, meaning you can’t guarantee that you’ll always be able to use it to stream Netflix shows. A good VPN provider will let you know it’s average downtime, in many cases, this is less than 1%, so you know what to expect but look at reviews too. How to Choose The Best Netflix VPN? You have hundreds of options in front you. So, how exactly to pick the best VPN that can unblock Netflix. Let’s take a look at the thing you need to keep in mind. Ability to Unblock Netflix – First and foremost, you need to check whether a VPN you want to buy can unblock Netflix. Articles like this one can help, and we also recommend you to contact the VPN’s support team and ask them directly. Ease of Use – You want a simple solution that won’t waste your time. Ideally, you want to connect to a US server in a matter of seconds, without any technical hurdles. Smooth Performance – Now, here’s something important. Not every VPN can work with minimal throttling and some of them can greatly slow down your connection. So, make sure to do your research and also take a look at Netflix’s ISP Speed Index. This can give you an idea of what kind of Web connection speed you need in order to get HD or 4K streaming. Additional Features – Take a minute to think about other Web-based activities such as torrenting or online gaming. A single VPN should cover all your needs so spend some time researching if your needs align with the feature set offered by the chosen VPN. Customer Support – Finally, let’s not forget to highlight the importance of customer support. VPNs are highly technical solutions and things can go wrong in the meantime. So, make sure that your VPN offers 24/7 support ready to assist anytime. We can say that ExpressVPN is perhaps the only VPN that checks all the right boxes. It fits into everything we said above while offering all of those features in an easy-to-use package. By taking a look at our hands-on tests, we can say that ExpressVPN is the best VPN for streaming Netflix right now. This service has a long history of going against Netflix anti-VPN measures, and it never manages to disappoint us. Of course, ExpressVPN isn’t only useful when it comes to the world’s most popular streaming service. It brings military-level encryption, plenty of secure VPN protocol, has more than 3,000 servers and unblocks a long list of websites. And all of those features come with an easy-to-use interface. Which VPNs Work With Netflix in 2019? When it comes to top 3 VPNs that work with Netflix, our tests show that these are ExpressVPN, CyberGhost, and NordVPN. The first one is our favorite pick, as it scored the highest in our review. The thing about VPNs is that they can stop working with Netflix overnight. That’s why it’s imperative, when you search for a Netflix VPN, to check if the latest version of that VPN supports unblocking the media streaming website. 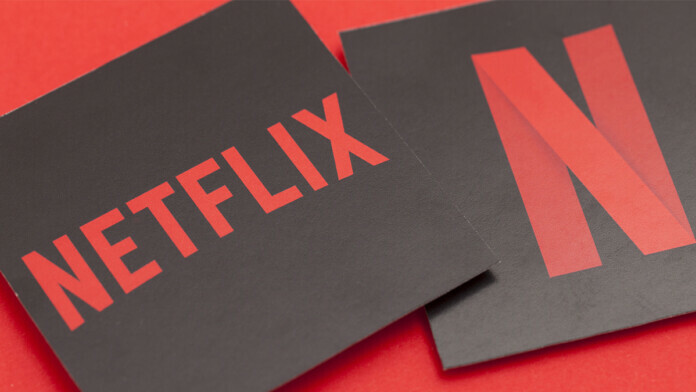 Our top three recommendations have a long history of unblocking Netflix, which is why investing in their long-term plans sounds like an ideal solution. Which VPNs No Longer Work With Netflix (2019)? As said earlier, Netflix has advanced mechanisms for checking your real location. This means that not every VPN will do the job, making articles like this one even more important to check. So, here’s a list of VPNs that don’t work with Netflix anymore. Is it Legal to Use a VPN to Watch Netflix? The law around using a VPN to access geo-restricted content is a bit of a gray area that has some loopholes. At the moment, you’re not breaking any laws by going around restrictions through geo-spoofing and no one has yet been charged with using a VPN anywhere. However, we have to note that changes are possibly coming in. Countries with a strong focus on censorship, including China, are moving to make VPNs illegal and some sites are actively taking measures to stop people from accessing content through a VPN. When it comes to Netflix, geographical locations are mentioned under its terms and conditions, stating: You may view a movie or TV show through the Netflix service only in geographic locations where we offer our service and have licensed such movie or TV. But it doesn’t make specific references to VPNs. The short answer is – yes, using a VPN to watch Netflix is legal. But this could be changing within some countries over the coming year, and you may find that the streaming service eventually blocks out all VPN traffic. Can Netflix Detect VPN Usage? No one precisely knows how Netflix’s VPN detection system works. That’s because it is constantly evolving – even though it will never be able to block all of the VPNs on the market. So, VPN providers have different ways to tackle the Netflix VPN ban. First of all, a VPN changes your IP address. You connect to a server in the USA, and you automatically get an American IP address. In addition, VPNs need to be powerful enough not to leak any data about your real location. This means that Netflix will first check your IP address and it’ll see a fake American IP. However, you’ll be granted access since the company won’t be able to detect your true location due to being unable to detect any leaks. How to Bypass The Netflix VPN Proxy Error? Netflix is well-aware that Internet users know about proxies and VPN applications. Therefore, the company knows that its subscribers might change their IP in an effort to use a different version of Netflix. And this is precisely why the company has certain measures to prevent that. If you’re using a less-than-powerful VPN, Netflix will detect your true IP and it will block your access to the website. And this is where you’ll encounter the famous Netflix proxy error. However, this isn’t something that you can’t solve. All you need is a powerful VPN, so make sure to read our guide to solving the Netflix VPN proxy error. How to Change Netflix to American Version? To change Netflix to American version you need a powerful VPN. By connecting to a server in the USA, Netflix will think you’re accessing the website from this country. And that’s precisely what you’ll see when you open this website in your Web browser. In case you’d like a step-by-step guide, keep on reading. We’re going to explain how this process looks like. First, you need a VPN subscription. If you’re still not sure which VPN to use, we recommend ExpressVPN – being the highest-rated VPN in this aspect. That’s it. Netflix will ‘read’ your virtual IP address (which now comes from the US) and you’ll see the corresponding media library. Can I Get Netflix USA in the UK? Yes, you can get Netflix USA in the UK – but only by using a capable VPN. This will help you connect to a server in the USA, encrypt your Web connection, and fight against Netflix’s anti-VPN measures. If you’re looking for the best Netflix VPN, our strong recommendation is ExpressVPN. By using this VPN, you can easily cycle between the American and English (UK) version of Netflix, which means that you’ll get the best of both worlds. Which Free VPNs Work With Netflix? We’ll cut to the chase here – we strongly recommend avoiding free VPNs as these simply don’t work with Netflix. It takes plenty of hard work and investments into building a solution that can find Netflix’s anti-VPN measures, and free VPNs are not up to this task. Free VPNs come with bandwidth limitations. They are highly restricted in terms of speed, and they come with a predefined data limit. Most often, this limit isn’t sufficient even to watch a 20-minute episode of a TV show. When you cross the limit, the VPN will stop working. It’s also clear that free VPNs don’t have the means to unblock major websites, such as Netflix US. What you’ll see is the website’s ‘Proxy Error’ message, which prevents access to its services. On the security front, free VPNs come with highly questionable privacy policies. They need to earn money somehow, so they often collect your Web browsing data and sell it to marketing agencies. There’s no need to risk your security or spend your time trying a solution that won’t work. Best Netflix VPNs, such as ExpressVPN, do this job with minimal effort and 100% successfully. Dear readers, this is where we end our article on the best VPN for Netflix. We hope that you’ll get to use your favorite service without any limitations. If there’s anything else you’d like to know, you can always leave a comment below. Don’t forget to share this article online. You can also like us on Facebook, and follow us on Twitter – so make sure to get the latest information first.